Learn the best strategies to survive the nightmarish landscapes of Shulva, and important tips for taking down its aggressive enemies and terrifying bosses. Unlike Dark Souls' Artorias of the Abyss, Crown of the Sunken King isn't hard to find: Once you defeat The Rotten and reach the Primal Bonfire of The Black Gulch, you should see a statue very similar to the one located in the Shrine of Winter. Interact with this statue to warp to Shulva, Sanctum City, and unlock the giant door in front of you with the Dragon Talon—which is added to your inventory after purchasing the DLC. If you don't have the DLC, you can place your summon sign in this area for the chance to be summoned into a special, uber-hard optional dungeon. But you should really buy the DLC! 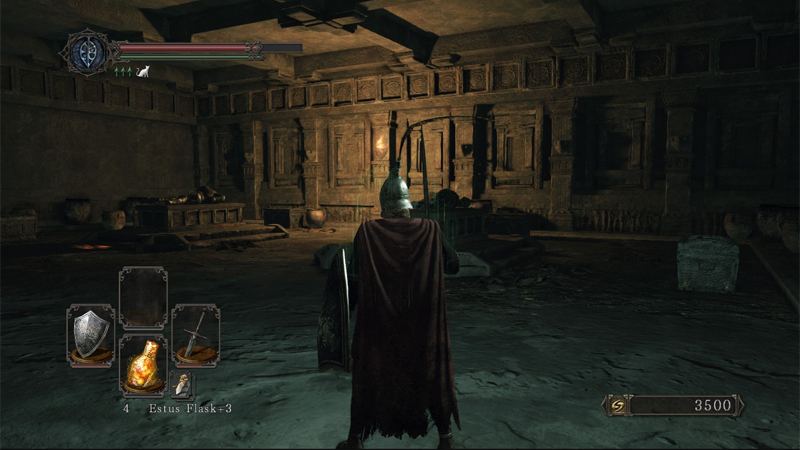 While you can travel to this area immediately after defeating The Rotten, it's recommended to hold off on Crown of the Sunken King's content until after you pass through Drangleic Castle. Your milage may vary, of course, but you should be (relatively) comfortable at around level 90-100. Be prepared: enemies in Crown of the Sunken King looove poison, so be sure to have plenty of items on hand to counteract this status effect. This level also contains plenty of tough fights and hazards designed to degrade your weapons, so be sure to have a backup with you, and a few Repair Powders as well. Sanctum Soldiers: These are the most common enemies you'll fight in CotSK, and they can be a real pain if you're not careful. While it's recommended to draw them out one at a time, each variant of this soldier requires slightly different tactics. Sanctum Soldier (Mace): An important note on all Sanctum Soldiers: they don't stagger easily and have lots of HP, so don't expect to brute force your way through their defenses. Additionally, some of them are poisonous (indicated by a green aura), so you'll have to keep your distance and backstab as soon as possible. If you take them on one at a time, the Soldiers equipped with maces aren't too difficult; since their weapons are colossal, it takes a lot of effort to swing them around. Sneak in a few hits after a combo, or wiggle around behind them for a backstab. But watch out—they have a jumping attack that can carry them a surprising distance. Sanctum Soldier (Lance): These guys have shields, which means you'll have a harder time immediately going on the offense. Hold back, and wait for them to let loose with a charging attack—if you manage to get out of the way, it's incredibly easy to slip behind them and pull off a backstab. Sanctum Soldier (Sword): This variant of the Sanctum Soldier hits hard and fast, and can easily wear down your stamina if you're not careful. Keep an eye on that green meter, and roll to both evade their attacks and reach a better offensive position. 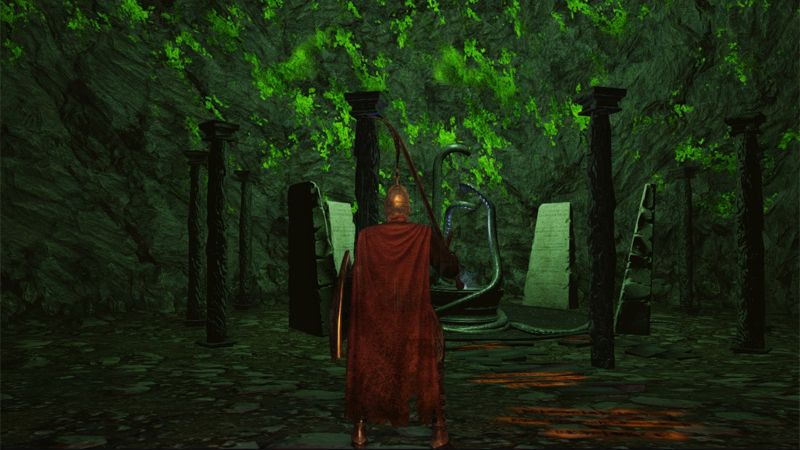 Sanctum Knight: Unless you know what to look for, the Sanctum Knights can really take you by surprise. In one of FromSoftware's greatest tricks, these Knights appear in the form of usually non-lethal player ghosts, and if you're not careful, you could be staring at "YOU DIED" before fully understanding just how this happened. While these enemies are invulnerable in ghost form, you can make them visible by destroying the suits of armor nearby glowing with a red aura. Once you smash these, they'll be destroyed permanently, though the Sanctum Knights will revive every time you die. These foes are huge, have lots of HP, and hit hard with two swords, so it's best to lure them (one at a time) to a wide, enemy-free area to take them down. If you roll out of the way of their dual-sword charge attack, you can unleash a few powerful attacks before going on the defense again. Corrosive Egg Crawler: These spidery-looking things might be creepy, but they're actually pretty easy to take down if you keep your distance. While they aren't exactly powerful, they emit clouds of acid that can make short work of your equipment—which can be a real inconvenience. Get in close, make a few attacks, and immediately roll out of the way. Poison Statue Cluster: If you thought those poison-spitting statues in The Black Gulch were irritating, CotSK places clusters of these on the back of a slow-moving enemy that can't be targeted via normal means. If you somehow feel the need to eliminate these foes, you can plink away at their vulnerable undersides with a projectile weapon that can be aimed manually, or an area-of-effect spell. But really, it's best just to get the heck away from them. Black Saurion: These massive mouths-on-legs can only be found in a single area of the DLC, and are easy to avoid if you give them a wide berth. If you feel the need to take them on, it's best to keep your distance while remembering that their lighting projectile attacks also cause splash damage to the surrounding area—you're ankle-deep in water, remember? Black Drakeblood Knights: You'll find only a handful of these enemies in the run-up to the DLC's final two bosses, but they're fast and absolutely relentless. Their stamina is seemingly endless, so it can be nearly impossible to hang back and wait for an opening without having all of your stamina drained by their constant attacks. If you're looking for an easy win, lure them out towards a ledge and give them a quick shove, or summon a co-op partner into battle so one of you can backstab while his attention is drawn to the other. Elena may look a lot like the final boss, but she's actually a lot more difficult than that pushover. It's recommended to pull some co-op partners into this battle, though be warned that this fight will stretch on for much longer in exchange for giving you a much larger margin of error. If you can't find any human players, the area before Elena offers two CPU controlled players to summon: Benhart of Jugo, and Steelheart Ellie. They're not the strongest or smartest of fighters, but they can definitely draw the boss' attention, allowing you to slip in a few well-timed offensive maneuvers. Now, let's go over Elena's attacks, and the best ways to survive them. Melee: First of all, when you enter the boss area, RUN to Elena and get in a few strong attacks—you should be able to pull off three of four as she summons her staff from the ground. This weapon acts as her means of close-range combat, but, luckily, it's easy to dodge to the side, leaving you plenty of time to attack her back. Don't get greedy, though: she tends to know when you've expended all of your stamina, and that staff hits HARD. Summons: Elena can summon different enemies into the battle to assist her—and she can do it more than once. 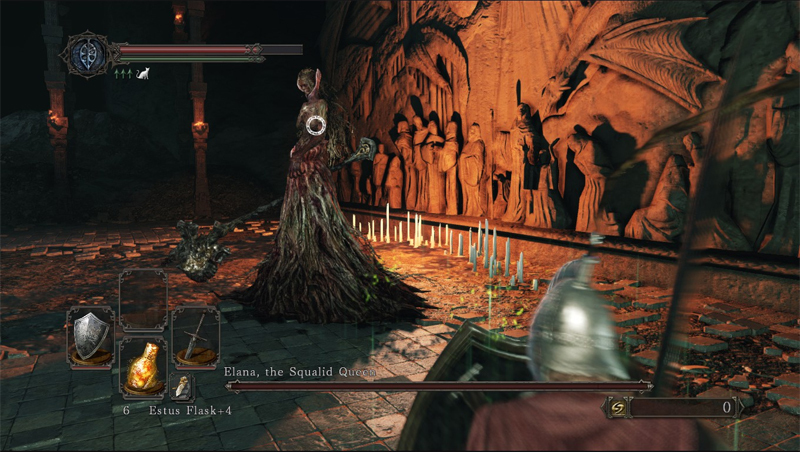 While the gaggle of skeletons she pulls from the ground shouldn't give you too much trouble (so long as you keep an eye on Elena's incoming attacks), Elena can also summon Velstadt, one of the later bosses in the game. When she summons helpers, red clouds will appear around her and she'll be occupied, giving you a chance to get several cheap hits in. Velstadt will give you much more of a challenge than Elena's other summon, but he telegraphs slow melee attacks, and his attention can be drawn to a single character, so the other(s) can concentrate on Elena. Keep in mind, though, that after you defeat Velstadt, you're not out of the woods yet: Elena can summon him into battle multiple times. Magic: Elena has a few magic attacks that aren't too hard to avoid, as long as you're paying attention. Most importantly, if she puts her arm in the air and keeps it there, GET OUT OF THE WAY. She's about to unleash a powerful area of effect attack in the area surrounding her body, and Elena typically does this to get you to back off after she's absorbed too many melee attacks. Elena also possesses a handful of hexes, which are easy enough to avoid—though if the battlefield is littered with summoned enemies, this is easier said than done. If she lifts her arm to cast a spell and nothing seems to happen, watch out: She's casting Flame Swathe, which causes a huge fireball to form out of a tiny spark in mid-air. These will definitely take you by surprise, especially if your hands are full fighting summoned enemies, so watch out for that telltale spark, and roll the heck away from it before the explosion. Stay close, but keep away from his mouth: Like most dragons, the deadliest part of Sinh is his mouth and the things that shoot out from said mouth. If you avoid getting in front of his mouth—regardless of whether he's on the sky or ground—you should be able to finish him off without too much trouble. Lock onto him, and stay as close as you can to him as he flies through the arena. When he lands, align yourself with his shoulder so you can safely whack at his head. Note: cutting off his tail won't give you any items, but it will prevent him from using a powerful combo attack on the ground. Don't get greedy: Sinh is a sitting duck on the ground, but still, he can be deadly. Make sure you always have enough stamina to either roll back to a safe distance or block any incoming attacks. 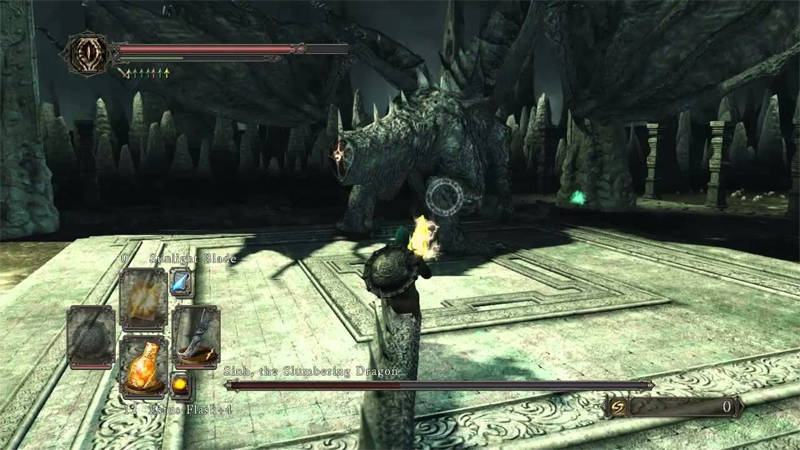 This boss battle is optional for a reason: it's friggin' hard. Since the area you'll find them in is built for co-op play, it's recommended to roll with two phantoms if you want to stand a chance against them. They're basically NPC invaders, so this trio's AI can be exploited by solo players, but they have a habit of swarming lone adventurers. They can also heal themselves with Estus Flasks, but since you're fighting in a large area with varying heights of terrain, it's possible to separate this deadly trio and take them on individually. Now let's break these bosses down, one at a time. Varg: Varg is essentially a clone of Havel from the first Dark Souls, and just as easy to exploit. He uses a massive weapon that gives you plenty of openings, so it's best to concentrate on him first. Once he smashes his club into the ground, it's backstab time—just be sure his buddies aren't nearby to make you regret this decision. Graverobber: This is the fastest of the trio, and his quick, dual-sword attacks are absolutely relentless. If you're eqiupped with a slower weapon, attack from as far away as possible: Like the Black Drakebood Knights, the Graverobber is quick, and rarely gives you an opening. It's possible to break his poise, though, if you pull off a successful combo, so try to break him down if you can. Cerah: Cerah attacks from a distance with a bow, which can be extremely annoying if you're currently in melee combat with Varg or Graverobber (or both at the same time). Try to keep your distance and/or use the terrain to your advantage if Cerah isn't a priority. If you get close, Cerah will exchange her bow for a longsword with a lunging attack that provides the perfect opening for your own strikes. Again, watch her animations closely and don't get greedy: Cerah is much less effective as a close-range fighter when compared to her companions. Tagged with Crown of the Sunken King,	Guides. As Kat throws herself into finishing Dark Souls 3, she's rediscovering what made her fall in love with the series in the first place. What are the Souls Series' Most Brutal Moments?